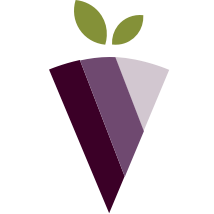 Health IQ is committed to making the 21st century the century of personal health literacy. Just as reading literacy in the 20th century led to breathtaking advances across the globe, health literacy can dramatically improve lives in this century. The Health Literacy In The 50 States Report shows that states with higher health literacy scores also have lower rates of diabetes, obesity, and high blood pressure — which are serious 21st century challenges for individuals, families, and society. With rising health care and prescription drug costs, we invite you to join us in calling on policymakers to be champions of health literacy in their states and communities. Health literacy is not a conservative or liberal idea. It’s an approach towards understanding health based on data and science that can dramatically improve people’s lives while strengthening community safety nets. As Medicare spending is expected to double over the next decade and become insolvent by 2026, policymakers and communities will need every tool at their disposal to confront rising health care costs. Our nation’s insurance and health care challenges are daunting, but the opportunities for individuals and communities ahead are exciting. 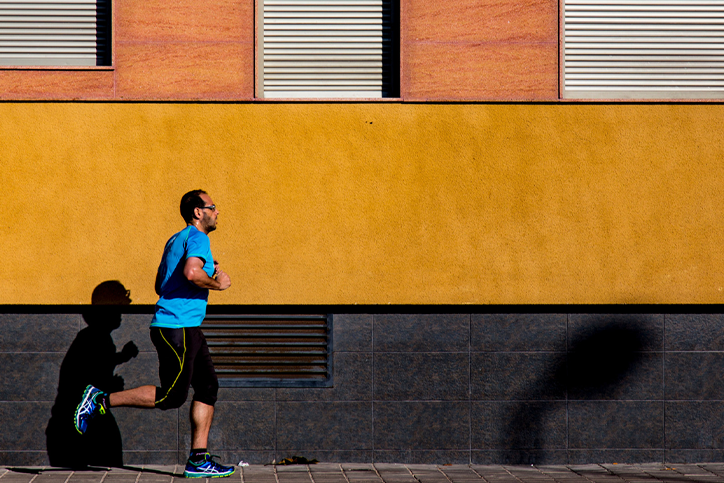 With the growth of wearable technology and personal health data, health literacy has never been so accessible. In this century we will also likely see breakthroughs and advances that reduce rates of chronic illnesses like diabetes and obesity. Yet, technology alone will not be enough. We must merge personal health education and technology. We must invest in raising our personal, communal, state, and national health literacy. 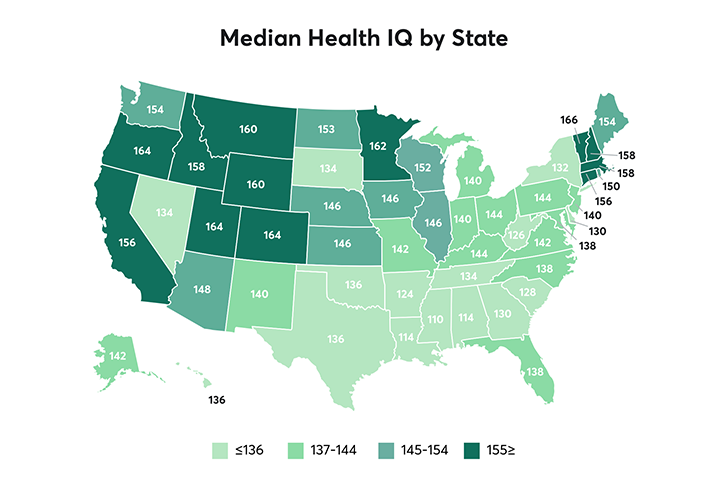 Vermont, Colorado, Oregon, Utah, and Minnesota had the highest median Health IQ of all states in the country. Four of these states – UT, CO, MT, and MN – rank in the top five states with low rates of high blood pressure, a major risk factor for heart disease. Mississippi, Alabama, Louisiana, West Virginia, and South Carolina had the lowest median Health IQ of all states in the country. These five states also have the highest rates of diabetes and hold five of the top seven rates of obesity per capita. While average zip code income and median Health IQ scores tend to be related, there are a few exceptions: Abita Springs, LA, Denton, TX, Athens, OH, Oakland, CA, Cincinnati, OH, and Athens, GA have a high Health IQ but relatively low average income; South Amboy, NJ, Haslet, TX, Somerset, MA, Hanover Park, IL, Orange, TX, and Hahnville, LA have a low Health IQ but relatively high average income. The Health Literacy In The 50 States Report shows correlations between high Health IQ and better health outcomes. Diabetes is on track to cost more than $622 billion a year in the United States by 2030 if nothing is done. Obesity is on track to cost more than $342.2 billion a year. States with high health literacy spend up to $1,300 less on Medicare Rx costs (per capita 65+) than states with low health literacy, which helps to curb the rising cost of Medicare. Increasing personal, community, and state health literacy can dramatically improve our country and solve many challenges our health care will face. Health IQ is inviting you to call out to all family members and policymakers and communities to join together and invest in health literacy. Let’s make the 21st century the century of personal health literacy. The full report can be viewed at HealthIQ.com/healthliteracy. To get your Health IQ score and compare it to your state, take the Health IQ Quiz and join the conversation online with #HealthIQ.